Vue.ai's ensemble generator understands your shoppers’ behavioral patterns, product affinities, and the rules of fashion, thus enabling visual merchandising. Provide cross product recommendations and curated ensembles based on every shopper's style preferences to increase engagement, cross-sell and upsell. This visual commerce leads to increase in shopper's average order size (AOS) as well as the site's average order value (AOV). Product Page: Use cross product recommendations, for visual merchandising, to enable the shopper to visualize their outfits with relevant complementary products, based on what they are viewing. Checkout Page and Post-Payment Page: Provide complimentary product recommendations to style outfits, based on what is added to cart or has been bought. 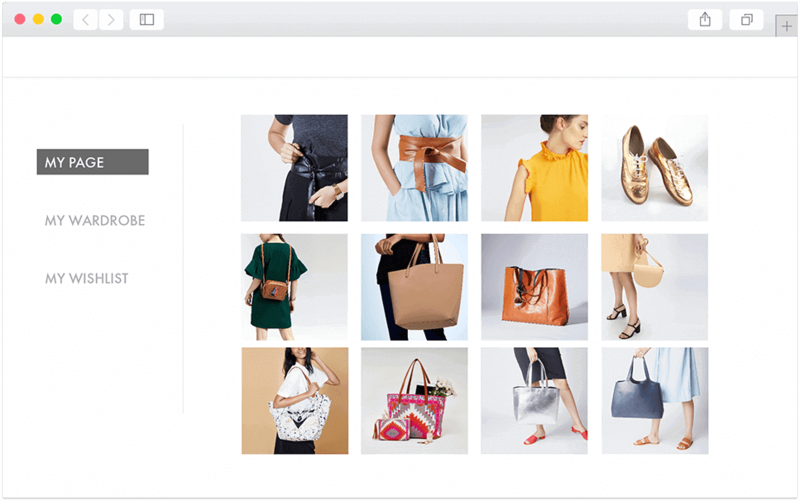 VueMail: Complete The Look recommendations on order confirmation and shipping emails to engage post-purchase, thus leveraging visual commerce to impact customer life time value (CLTV). VueStudio: Make your shoppable videos more engaging with cross product recommendations. Cross-sell: Facilitate cross-selling to the customer based on products they have purchased, thus using visual commerce to increase basket size and value. Product Discovery: Get more categories in your catalog discovered with cross product recommendations. Shopper Engagement: Use cross product recommendations based on the shopper's visual styles for better engagement. Retention and Repeat Purchase: Take into account their style preferences and provide ensemble options via VueMail, for continuous engagement. Ensemble Generator: Deliver an overall outfit for the shopper, keeping in mind their style preferences. Outfit Options: Use visual merchandising to help shoppers visualize the product in different styles, from classic to retro and more. Shopping Context: Build a greater context for the shopper for the styles they are interested in, leading to more engagement and lesser shopper fatigue. Repeat Visits: Provide recommendations which can build a shopper's wishlist, leading to reason for next visit and for retention.